The cast and director of Psycho-Pass Sinners of the System Case.1 Tsumi to Bachi (Crime and Punishment) and Psycho-Pass Sinners of the System Case.2 First Guardian , the first two anime films in the three-film Psycho-Pass SS or Psycho-Pass Sinners of the System project, unveiled the trilogy’s opening dates and key visuals at the project’s Tokyo International Film Festival world premiere on Saturday. 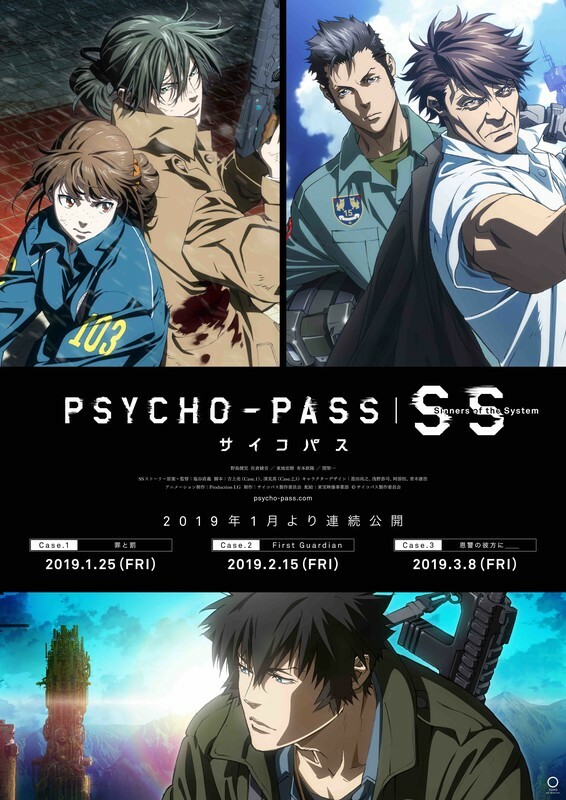 Psycho-Pass Sinners of the System Case.1 Tsumi to Bachi will open on January 25. 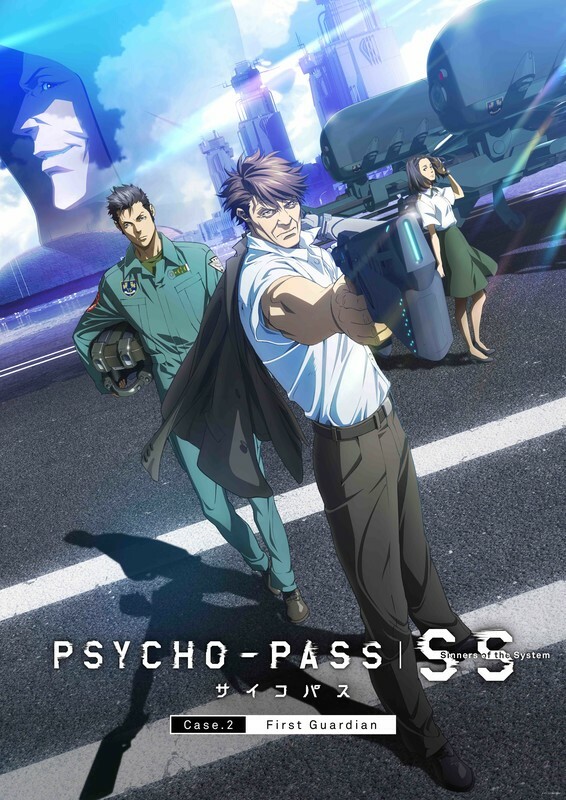 Psycho-Pass Sinners of the System Case.2 First Guardian will open on February 15. Psycho-Pass Sinners of the System Case.3 Onshū no Kanata ni ____ (In the Realm Beyond Is ____) will open on March 8. 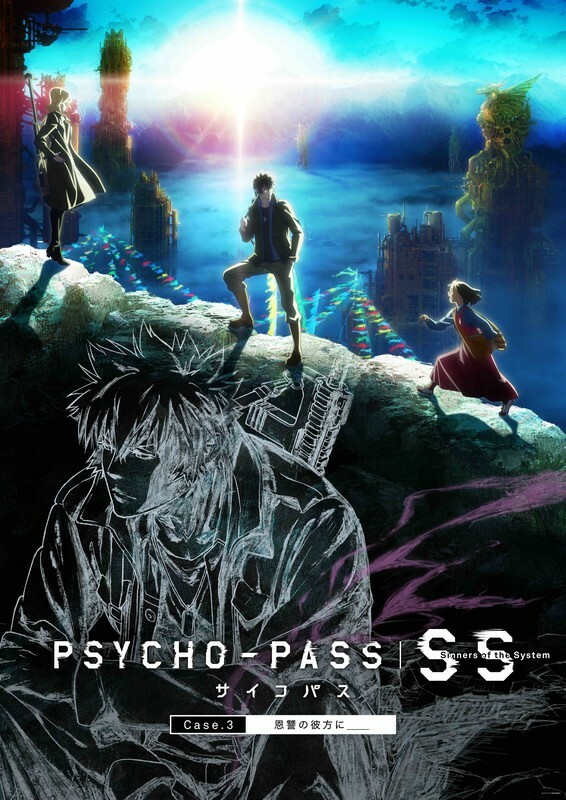 Naoyoshi Shiotani returns as director from the Psycho-Pass television anime seasons, and is also listed on the official website for the story concept. 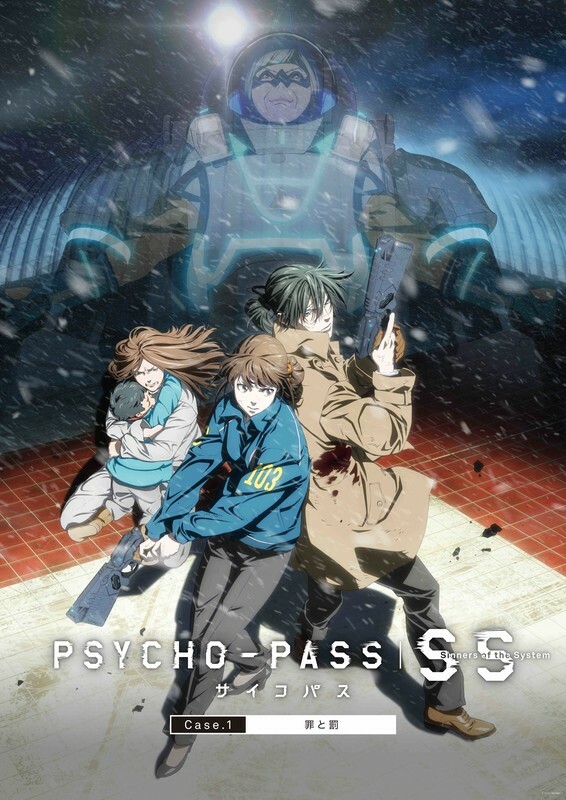 Psycho-Pass Asylum and Psycho-Pass Genesis spinoff novel writer Ryō Yoshigami penned the screenplay for “Case.1,” while Makoto Fukami returns from the first Psycho-Pass season and movie for the screenplay for “Case.2” (the official website also lists him for the screenplay for “Case.3”). Naoyuki Onda , Kyoji Asano , and Yasuhiro Aoki return from previous entries in the franchise as character designers, adding Hisashi Abe ( Chobits , Berserk ). Production I.G is animating the films, and TOHO is the distributor. Kenji Nojima , Ayane Sakura , Hiroki Touchi , Kinryuu Arimoto , and Tomokazu Seki return as their characters Nobuchika Ginoza, Mika Shimotsuki, Teppei Sugo, Tomomi Masaoka, and Shinya Kogami, respectively. The first film, “Case.1 Tsumi to Bachi,” focuses on Nobuchika Ginoza and Mika Shimotsuki. The second film, “Case.2 First Guardian” (pictured below) focuses on Tomomi Masaoka and Teppei Sugo.